BS55 - the Ben Stokes bat. Traditional Full Blade (Convex) Profile - creates a very wide sweet spot. Mid Middle - ideal for all round stroke play, off both the front and back foot. The new Diamond range of products was made in conjunction with England’s superstar all-rounder Ben Stokes, using his preferred colour scheme. 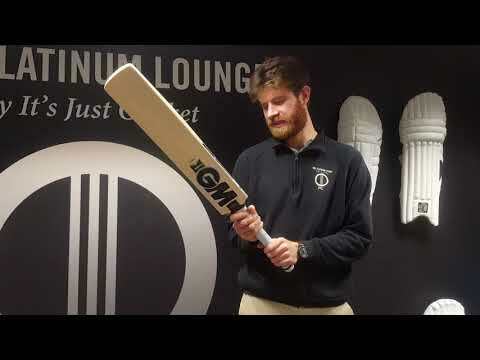 The bat was designed with Ben in mind and features a shorter-than-traditional blade length at 540mm, and a longer handle (310mm), boasting a large sweet spot, which allows for unparalleled ball-striking confidence and faster bat speed. The shorter blade length also enables the GM Diamond L540 DXM 909 Cricket Bat to have fantastic balance, creating a perfect pick up and feel. The traditional full blade (convex) profile and flowing contoured spine combine to show off a smooth and well-rounded bat profile, ideal for dynamic stroke-makers. The GM Diamond L540 DXM 909 Cricket Bat is made in Nottingham, England, from unbleached, seasoned Grade 1 English Willow.